Ross From Friends - Family Portrait. Vinyl LP, CD. Bleep. 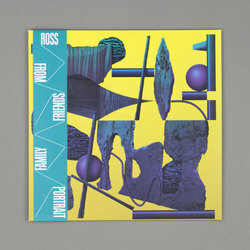 Ross From Friends follows on from first-rate 12"s for Magic Wire, Breaker Breaker and various guest appearances within the Lobster Theremin family of labels, with his much-hyped debut album Family Portrait, released via Flying Lotus' Brainfeeder imprint. 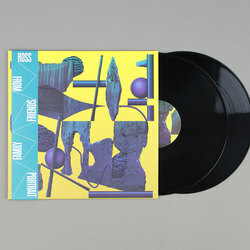 Currently riding atop the crest of house and techno producers looking towards 90's sitcoms for alias influence, Ross From Friends' debut album not only marks him out as the go-to selector in this scene but also acts as a statement of how far he has come since those first instant sell-out 12"s. Family Portrait is a very personal showcase of an artist who is producing some very serious top-shelf quality house, techno and hip-hop influenced electronic music. Family Portrait "draws on the influence of his parents—whose relationship developed during a 1990 bus trip across Europe, throwing parties with a soundsystem his father built" so from the word go, it's pretty clear that Ross From Friends is well schooled in the art of sculpting tracks that go in proper when spun through a well-sized rig. Said to be the culmination of two years of intense studio time, Ross From Friends reportedly worked 20 hour days during the creation of the album, often spending months perfecting just one aspect of a track. 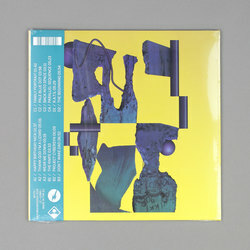 This commitment to the cause shines through on the album's strongest moments, we are talking 'Parallel Sequence' which deploys some undercover breakbeats that threaten at any second to break through the track's foggy mirage of deep house pads, while 'The Knife' locks in some soulful vocal licks over a sparse drum beat, sort of reimagining skeletal grime minimalism with soul selections making up the middle. For our money it’s 'Thank God I'm A Lizard' and 'Wear Me Down' which go a long way to showing why so many choose to follow Ross From Friends wherever takes us. Landing with the Brainfeeder don's stamp of approval, there are many parallels between the musical output of Ross From Friends and Flying Lotus. Where FlyLo draws out a very special night-vision mode of dusky L.A. hip-hop, envisioning wide open landscapes littered with the influence of soul, RNB and a full marks knowledge of classic up to present day hip-hop, Ross From Friends music has that same warm, heavily saturated sonic feel, yet the location is transported to his native South London and the influence of the city's house, broken beat, and techno taking centre stage. This and so much more make Family Portrait both the perfect soundtrack to long train rides through the city and the key head-turning moments in your favourite DJ's next set.